DC insiders may not be “all in” for South Dakota's Rick Weiland, but a key senator is hailing his candidacy. But Weiland, a veteran congressional aide and advocate who formerly headed the South Dakota branch of the American Association of Retired People, has mounted a high-energy campaign that has already seen the candidate visit more than 300 of the state's 311 towns with an old-school populist message. “I was born here. I grew up on this land. It was ours because our democracy kept it that way," he says. "Today our democracy is being bought by big money and turned against us. To feed their profits we lose our jobs, our homes and our farms, our kids’ education, even our health, and the Congress they have bought looks the other way, or worse." Democrats who "get" that their party must embrace a people-centered grassroots politics if it is to be viable in 2014 and beyond are starting to take notice. US Senator Elizabeth Warren, D-Massachusetts, has given Weiland a strong endorsement—hailing him as a "smart, experienced, bold progressive." She's urging support for his campaign today as part of a national appeal circulated by the Progressive Change Campaign Committee, with which the senator has worked closely. "Rick led South Dakota’s AARP and federal emergency management in his state, and he worked as a top Senate aide," says Warren, whose own populist campaign of 2012 dislodged Republican Senator Scott Brown. "He is campaigning actively on campaign finance reform and taking back government for hard-working everyday people." The Weiland endorsement is coupled with support for Congressman Bruce Braley, D-Iowa, who is running for the seat of retiring Senator Tom Harkin, D-Iowa. The Iowa Senate candidate has his own populist credentials; indeed, Warren notes, "Bruce Braley led the Populist Caucus in the House of Representatives—and is focused on economic fairness, investing in education and addressing our retirement crisis." While Braley (who is taking hits this week for referring to Iowa Senator Chuck Grassley, the ranking Republican on the Senate Judiciary Committee, as "a farmer from Iowa who never went to law school") has received substantial support from national Democrats, Weiland has in the words of Washington's The Hill newspaper been "getting [the] cold shoulder." 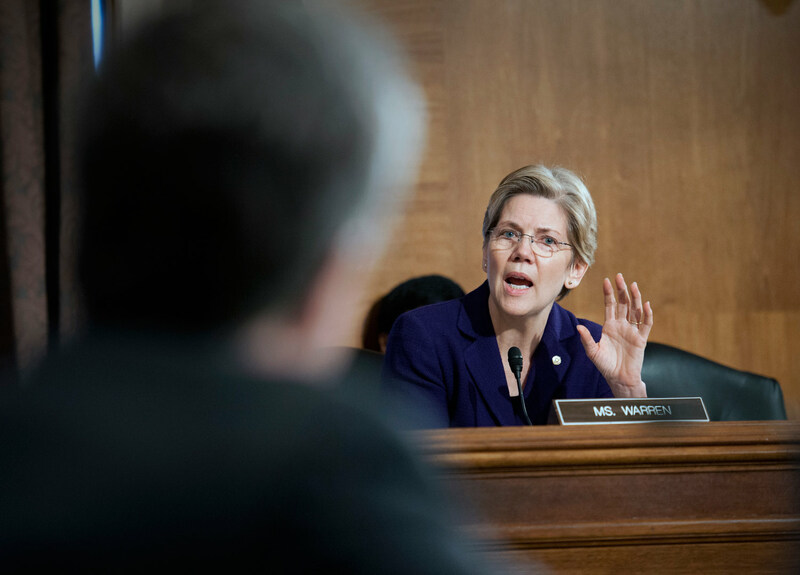 Warren's endorsement rejects the narrow calculus of DC Democratic insiders, arguing that both Braley and Weiland deserve strong support—and that, with such support, both can be contenders in November. "I know we can count on Bruce and Rick to be strong voices in our fight to level the playing field for working families—whether it’s protecting Social Security for our seniors, making college more affordable for our kids, or holding powerful interests accountable," explains Warren. "That’s precisely why the right-wing Super PACs are already lining up to stop Bruce and Rick from going to the Senate. With two new Senate pickups on the line, they’ll say whatever they need to say and spend whatever they need to spend to win." The message is clear. Victories for Braley and Weiland could certainly help in the effort to preserve a Democratic majority in the Senate. But they would, as well, add members to the Senate caucus of what PCCC activists proudly refer to as "The Elizabeth Warren Wing of the Democratic Party."